Home Products Mellerware Hair Clipper 12 Piece Set Plastic Silver 10W "Swift"
Mellerware Hair Clipper 12 Piece Set Plastic Silver 10W "Swift"
Stay a cut above the rest with the Mellerware Swift Hair 12piece clipper set. 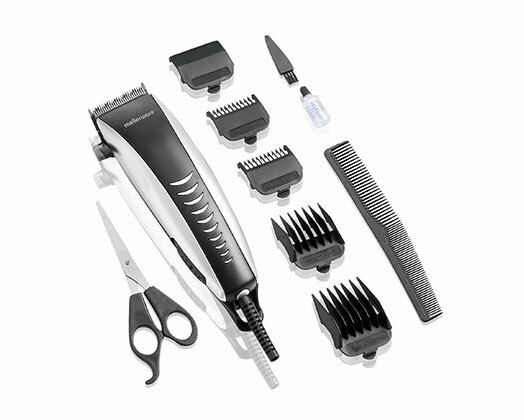 The precision blades and adjustable blade lever gives you the perfect hair cut every time. The Mellerware Swift Hair Clipper set comes with scissors, a comb, a cleaning brush as well as 4 different sized guide comb attachments.